Part of Aino and Alvar Aalto’s Flower Vase collection, this tray has the lovely waving lines that distinguish Alvar’s pieces. It was originally designed for the 1939 New York World's Fair. 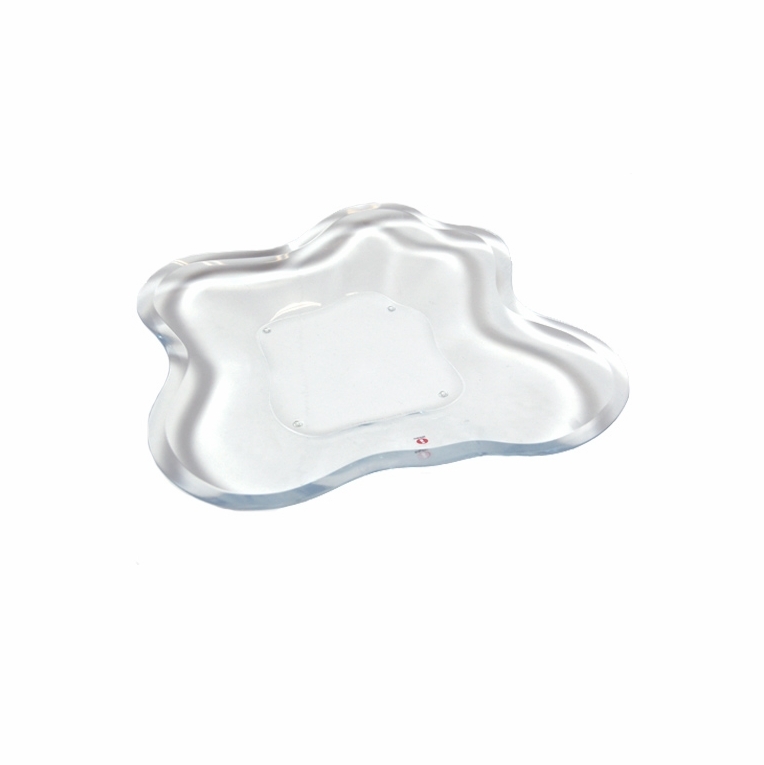 This particular tray is made of clear, unblemished glass, whose wavy frame bends and refracts the surrounding light. Its large size makes it ideally suited as a centerpiece for a dining room table.